I posted about this on my old blog years ago but I think it's worth reposting! Can be easily made with with either wood or foam core board and double stick foam tape. Foam core board would be a lot easier to cut. 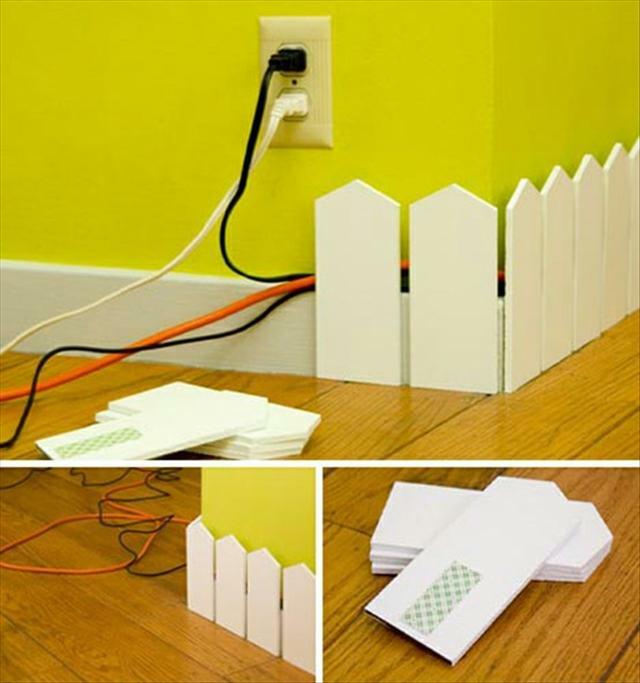 Great idea for hiding cords in kids rooms! I searched high and low and cannot find the original source. Does anyone happen to know it? This is a cute idea! A lot better than one I just saw in a magazine yesterday (stapling the cord to the wall to look like the outline of a mantle or something else decorative.) I thought that was a bit tacky.